In the past few years, the debate on the interplay between competition law and intellectual property rights (IP) in India has continued to draw attention. In addition to dealing with questions of jurisdiction and addressing disputes dealing with fair, reasonable and non-discriminatory (FRAND) terms, the Competition Commission of India (CCI) has increasingly focused its attention on issues such as the impact of standard-setting on competition law; and the use (or abuse) of IP-related judicial processes by dominant enterprises to stifle competition. The general prohibition on anticompetitive agreements2 and abuse of dominance3 under the Indian Competition Act, 2002 (the Competition Act) applies equally to IP-related business practices as it would to non-IP-related conduct. The only reference to IP rights in the Competition Act is by way of an express carveout that recognises the right of any person to impose reasonable and necessary conditions for protecting IP rights, specifically conferred under certain identified Indian IP statutes.4 This carveout does not, however, extend to unilateral conduct, thereby exposing IP holders to the risk of scrutiny under the abuse-of-dominance provision (Section 4) of the Competition Act. In this chapter, we provide (1) a brief overview of the year in review; (2) issues surrounding antitrust and licensing in India; (3) the international debate surrounding the standard-selection process and the manner in which the CCI and Competition Appellate Tribunal (COMPAT) have interpreted competition claims arising out of standards while issuing prima facie orders;5 (4) the circumstances under which transfer of IP could be viewed as a transfer of assets under the merger control provisions (Section 5) of the Competition Act;6 and (5) finally we discuss, under 'other abuses', the emerging jurisprudence involving IP-related vexatious litigation leading to abuse-of-dominance claims before the CCI. The emerging discourse surrounding IP-linked antitrust issues in India is invariably tied to the application of the disciplines contained in Section 3 of the Competition Act (which deals with anticompetitive agreements) and Section 4 of the Competition Act (which deals with abuse of dominance). The debate on IP-related antitrust issues in India came to the fore in 2014 when the CCI examined7 whether the practice of several domestic and multinational passenger vehicle manufacturers (PVMs) of selling spare parts and diagnostic kits only through authorised dealers resulted in 'denial of market access'8 to independent repairers and after-sales service providers, or constituted a 'refusal to deal'.9 Without examining the larger question of the primacy of IP holders' right to use and commercialise an IP-protected technology the way they deem appropriate, the CCI summarily held that PVMs' decision not to supply spare parts and diagnostic kits to third-party or non-authorised dealers and after-sales repair and service providers results in denial of market access, and IP rights do not offer any protection from a finding of infringement under Section 4 of the Competition Act.10 Consequently, the CCI has opened the door for 'compulsory licensing' of IP protected technology to third parties, should it establish that the owner of the IP-protected technology is in a dominant position in a relevant market. On appeal by certain PVMs, the COMPAT agreed with the CCI's findings that PVMs' decision not to supply spare parts and diagnostic kits to third-party or non-authorised dealers amounted to refusal to deal.13 Further, the COMPAT dismissed the arguments of the PVMs that restrictions requiring supply of spare parts and diagnostic tools only through authorised dealers were 'reasonable' restrictions to protect their IP and that the PVMs were simply trying to prevent the circulation of counterfeit spare parts in the aftermarkets. In this regard, the COMPAT observed that circulation of counterfeit parts would be curbed if the restrictions imposed by PVMs on sale of genuine spare parts in the aftermarkets were removed. While coming to its decision, the COMPAT also observed that the PVMs did not have valid IP rights because (1) the PVMs' copyright protection did not subsist under the copyright laws in India, as the article to which the copyrighted drawings pertained had been produced more than 50 times by an industrial process,14 and (2) the PVMs were not able to prove that the right under a patent registered by a parent outside India is available in India. More recently, the Madras High Court,16 in a decision that could be more immediately relevant to competition cases initiated at the behest of IP implementers against the potentially anticompetitive practices of IP owners, has ruled that the scheme of the Competition Act empowers the CCI to consider settlement agreements between the complainants and defendants. The potential repercussion of this judgment of the Madras High Court on settlement in IP cases is discussed in the subsequent paragraphs. Antitrust concerns associated with IP licensing arrangements are relatively low on the CCI's enforcement agenda. Where the CCI has dealt with complaints arising out of the unfairness or restrictions of licensing terms, it has done so fairly simplistically, without dealing, in any significant manner, with the interplay of IP and antitrust or balancing IP rights with the public interest. Notably, the Competition Act provides a limited carveout allowing IP owners to impose restrictions, including restrictions accompanying their licensing arrangements that are reasonable and necessary to prevent the infringement of their existing IP rights. Unlike in the United States and the EU, where refusal to deal is usually examined as unilateral conduct, in India, refusal to deal can also be scrutinised as an anticompetitive vertical restraint. Thus, a refusal to grant a licence altogether or imposition of unreasonably restrictive licensing terms can be examined as a potentially anticompetitive refusal to deal. For instance, in the Auto Parts case, the CCI viewed the car companies' refusal to license their diagnostic (software) tools and repair manuals to independent repairers and workshops as an anticompetitive refusal to deal. A 'refusal to license' can equally be scrutinised as an abuse of dominance under Section 4 of the Competition Act, to the extent that the refusal results in a denial of market access,23 restricts the production of goods or services,24 or restricts the technical or scientific development relating to goods or services.25 For instance, in the Auto Parts case, apart from holding the car companies liable for anticompetitive vertical restraints, the CCI also held that the car companies' refusal to license the diagnostic tools to independent repairers and workshops was an abuse of their dominance. In turn, Monsanto Technology LLC (Monsanto) filed a suit for infringement of patent, trademark and passing off before the Delhi High Court against the Nuziveedu group (sublicensee of Monsanto's BT cotton technology). The Nuziveedu group refused to pay the licence fee in terms of the agreements with Monsanto, claiming that Monsanto could not claim any more than the 'trait value' fixed by the state governments. Recently, a division bench of the Delhi High Court found against Monsanto by stating that plant varieties and seeds cannot be patented under the Indian Patents Act. The observations of the Delhi High Court in this case may have a bearing on the CCI's investigation against MIU. The CCI has dealt with the issue of discriminatory or unfair licensing terms in a few cases. In Atos/Verifone,30 the CCI examined allegations that Verifone, a manufacturer of point of sale (POS) terminals, had imposed unfair and discriminatory conditions in the grant of licences for its software development kits (SDKs), a basic version of which was required to operate POS terminals,31 to value-added service (VAS) providers32 and third-party processors (TPPs)33 such as Atos. In its licensing arrangements with VAS providers, Verifone restricted the licensee from using any third party to develop or assist in developing any software using the licensed software, without first obtaining prior permission from Verifone and disclosing certain confidential information, including the names of its customers. Verifone contended that these restrictions were further to its IP rights pursuant to which it could legitimately restrict the grant of its licence to third parties without its permission. The CCI disagreed with Verifone's plea and viewed the restrictions as simply the means to further Verifone's entry and growth in the VAS market. The CCI also held that Verifone's rationale for not allowing VAS developers to develop payment software (i.e., that it may damage the basic software of the POS terminal that was necessary for its functioning) was inconsistent with Verifone's practices in other countries. The CCI also found the SDK licence agreement imposed 'unfair' disclosure requirements on VAS providers that were driven by Verifone's desire to gain confidential commercial information from VAS providers and enable it to exploit the lucrative VAS market. Based on these findings, the CCI held that Verifone had imposed unfair and discriminatory terms in its SDK licence agreements with VAS providers and imposed a penalty of approximately US$670,000. The CCI's approach towards excessive pricing claims in the IP licensing context is consistent with its general approach on unfair pricing, where it has chosen to adopt a simple cost-plus approach for determining whether the price has a reasonable relation to the economic value of the product supplied. The CCI's decisions on IP and antitrust issues are being contested before the appellate courts and it will take a while before definite guidance on these issues emerges. While the approach adopted by the COMPAT seems to suggest that a private standard-setting process involving non-SEPs can indeed be investigated under the Competition Act, it remains to be seen how the CCI will balance, on one hand, the need to protect IP developed jointly for the promotion of minimum cinematic 'quality' standards with, on the other hand, the competing claims that the IP is being misused to keep out 'non-compliant' film distributors and results in an abuse of dominance. In more recent cases, however, the CCI appears to be increasingly reluctant to view as abusive conduct the use of court proceedings to enforce legitimate IP rights. For instance, recently the CCI, in an initiation order in Biocon v. Roche, considered that Roche had been engaged in a long-drawn-out (and continuing) legal battle involving IP rights before the Delhi High Court and noted that recourse to legal proceedings is a right of every party and, as a general principle, cannot be viewed as being sham litigation except under exceptional circumstances.47 It seems the intensity of the underlying patent battle, as reflected by the time taken in arguments before the High Court, has weighed heavily with the CCI in determining that the patent litigation was not vexatious. The Madras High Court's observed in The Tamil Nadu Film Exhibitors Association v. Competition Commission of India that the Competition Act permits the parties to settle their dispute, subject to CCI's satisfaction that the settlement would not lead to or help continue any anticompetitive practice in India. This observation opens the door for the CCI to consider the global licence agreement between Micromax and Ericsson and the subsequent request by Micromax to terminate the proceedings against Ericsson while examining the allegations against Ericsson. While the Competition Act is designed to remedy instances of anticompetitive practice affecting the market as a whole and not just the interests of select competitors, the CCI may very well continue to examine the allegations against Ericsson; the very fact that Micromax no longer wishes to pursue its claims against Ericsson may weaken the CCI's case against Ericsson. To conclude, the CCI has adopted a largely balanced and progressive approach in ensuring that the enforcement of competition law is not at odds with preservation of IPs. In doing so, it has taken cues from decisional practice in other jurisdictions, and has evolved its own jurisprudence on issues such as whether patent litigation is sham, or indeed on the role of private standards in the market. However, much of the future direction of the CCI's decision-making in this area will be determined in appellate review, where the Indian Supreme Court is likely to have the last word. 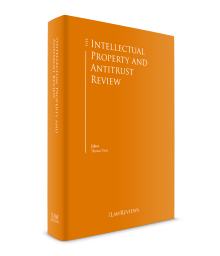 As with many other issues, the enforcement of antitrust law on questions involving IP is likely to continue to evolve in the coming years. 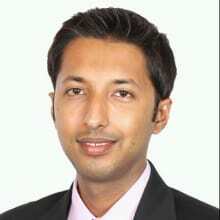 1 Rahul Rai is a partner, Akshat Kulshrestha is a senior associate and Rahul Shukla is an associate at AZB & Partners. 2 Contained in Section 3 of the Competition Act. 3 Contained in Section 4 of the Competition Act. 4 Section 3(1) of the Competition Act prohibits enterprises from entering into agreements that cause or are likely to cause an appreciable adverse effect on competition (AAEC) within India. Section 3(5) of the Competition Act provides that the prohibition on enterprises from entering into agreements that cause an AAEC does not extend to the right of any person to restrain any infringement of, or to impose reasonable conditions as may be necessary for protecting, any of his or her rights that have been or may be conferred upon him or her under (1) the Copyright Act, 1957; (2) the Patents Act, 1970; (3) the Trade and Merchandise Marks Act, 1958 or the Trade Marks Act, 1999; (4) the Geographical Indications of Goods (Registration and Protection) Act, 1999; (5) the Designs Act, 2002; and (6) the Semiconductor Integrated Circuits Layout-Design Act, 2000. 5 Section 26(1) of the Competition Act authorises the CCI to issue orders directing the Director General to investigate a matter, where the CCI is of the prima facie view, upon receipt of information or reference made by the government or a statutory authority, that the provisions of the Competition Act may have been violated. 6 Section 5 of the Act includes an acquisition of asset where the acquirer enterprise or group and the target enterprise exceed the prescribed jurisdictional thresholds. 7 See In re: Shri Shamsher Kataria v. Honda Siel Cars Indian Ltd & Others (case No. 03/2011, 25 August 2014: the Auto Parts case). On an appeal by three vehicle manufacturers, the appellate court upheld the findings of the CCI. The case is currently pending before the Supreme Court. 8 Conduct listed as abusive under Section 4 of the Competition Act. 9 Refusal to deal is identified as a type of vertical restriction in Section 3(4) of the Competition Act. Explanation (d) to Section 3(4) of the Competition Act defines 'refusal to deal' as including any agreement that restricts, or is likely to restrict, by any method the persons or classes of persons to whom goods are sold or from whom goods are bought. 10 Paragraph 20.5.85, page 157 of the Auto Parts case. 11 Taking the example of whether the sale of CT scan machines to hospitals would compromise the IP right of the CT scan machine manufacturer, the CCI concluded that this would not be the case as then all CT scan manufacturers would need to open diagnostic centres for diagnosing patients. 12 See paragraph 20.6.22, page 190 of the Auto Parts case. 13 Shamsher Kataria v. Honda Siel Car & Others (case No. 3 of 2011), and Toyota Kirloskar Motor Private Limited & Ors. v. Competition Commission of India & Others (Appeal No. 60 of 2014). 15 M/s Picasso Animation Private Limited v. M/s. Picasso Digital Media Pvt. Limited (case No. 75 of 2016). 16 The Tamil Nadu Film Exhibitors Association v. Competition Commission of India (Writ Appeal Nos. 1806 and 1807 of 2013). 17 Automobiles Dealers Association, Hathras, UP v. Global Automobiles & Ors. and Pooja Expo India Private Limited (case No. 33 of 2011). 18 Pursuant to Explanation (e) to Section 3(4) of the Competition Act, an IP licensor could impose a price ceiling (i.e., a maximum resale price) but not a price floor (i.e., a minimum resale price). 19 Pursuant to Explanation (c) to Section 3(4) of the Competition Act, 'exclusive distribution agreements' include 'any agreement to limit, restrict or withhold the output or supply of any goods or allocate any area or market for the disposal or sale of the goods are identified under the Competition Act as a vertical restraint and is prohibited if it results in an AAEC'. 20 Pursuant to Explanation (d) to Section 3(4) of the Competition Act, 'refusal to deal' includes 'any agreement which restricts, or is likely to restrict, by any method the persons or classes of persons to whom goods are sold or from whom goods are bought'. 21 Pursuant to Explanation (d) to Section 3(4) of the Competition Act, 'exclusive supply agreements' include 'any agreement restricting in any manner the purchaser in the course of his trade from acquiring or otherwise dealing in any goods other than those of the seller or any other person'. 22 Pursuant to Explanation (a) to Section 3(4) of the Competition Act, a 'tie-in' arrangement includes 'any agreement requiring a purchaser of goods, as a condition of such purchase, to purchase some other goods'. 23 Section 4(2)(c) of the Competition Act. 24 Section 4(2)(b)(i) of the Competition Act. 25 Since the CCI has held that for a vertical restriction to qualify as an anticompetitive vertical arrangement, market power is necessary, vertical restrictions may equally be examined as unilateral conduct (where the entity imposing the restriction is a dominant entity). 26 Justickets Pvt. Ltd v. Big Tree Entertainment (case No. 8 of 2016). 27 Section 4(2)(a)(ii) of the Competition Act. 28 Case Nos. 37, 38 and 39 of 2016. 29 In addition to the trait value, MIU's licensor entity in India (Mahyo Monsanto Biotech Limited) also charged a significant upfront one-time non-refundable fee of approximately US$75,000. 31 POS terminals along with their core applications are either sold directly to the customers, such as banks and retail outlets, or to the TPPs, who act on behalf of the acquiring banks and also render VAS to develop and integrate applications into POS terminals. 32 VAS providers develop applications including loyalty, bill payment, money transfer, top-up and dynamic currency conversion for integration into POS terminals. Customers of VAS providers, including banks and financial institutions, use these services to customise commission and install and maintain POS terminals at merchant locations. 33 TPPs track the process of payment from the time a card is swiped for payment until a customer receives a printed charge slip at the POS terminal of the merchant. 34 Sony Electronics v. Soundview Technologies Inc, 157 F.Supp. 2d 180 (D.Conn. 2001). 35 A standard, by definition, eliminates alternative technologies. When a patented technology is incorporated in a standard, adoption of the standard eliminates alternatives to patented technology. The value of a patent becomes significantly enhanced after the patent is incorporated in a standard. 36 Broadcom Corp. v. Qualcomm Inc, 501 F.3d 297, 314 (3d Cir. 2007). 37 Patent hold-up refers to a situation where participants chose not to make a complete disclosure of their patents during the standard-selection process, and once the standards were widely adopted, demanded unreasonable royalty. Also see In re Rambus Inc, Dkt. No. 9302 (FTC 2002), In re Union Oil Co of Cal, Dkt. No. 9305 (FTC 2003), In the matter of Dell Computer Corp 121 F.T.C. 616 (1996). 38 Director General is the investigative arm of the CCI and is commonly referred to as 'DG'. 39 Telefonaktiebolaget Lm Ericsson (Publ) v. Competition Commission Of India and Another W.P. (C) Nos. 464/2014 & 1006/2014. 40 In re K Sera Sera Digital Cinema Pvt. Ltd. v. Digital Cinema Initiatives, LLC & Ors. (case No. 30 of 2015). 41 Section 3(5) of the Competition Act provides for an IP protection carveout, by allowing the IP holder to impose reasonable conditions for protection of IP, but this carveout applies only to horizontal and vertical agreements under Section 3 and not to abuse of dominance under Section 4. 42 The case is now pending before the Supreme Court of India. 43 Combination Registration No. C-2016/11/456, AT&T and Time Warner Inc.
44 See ITT Promedia NV v. Commission of the European Communities (case T-111/96), and Professional Real Estsate Investors Inc v. Columbia Pictures Industries, 508 US, 49, 60–61 (1993). 45 M/s Bull Machines Pvt Ltd v. M/s JCB India Ltd & Ors (case No. 105 of 2013). 47 Biocon Limited & Mylan Pharmaceuticals Private Limited v. F Hoffmann-La Roche AG & Ors (case No. 68 of 2016). 48 CCI's prima facie orders are somewhat equivalent to the statement of objects and reasons issued by the European Commission. 49 InPhase Power Technologies Pvt Ltd v. ABB India Ltd (case No. 12 of 2016).